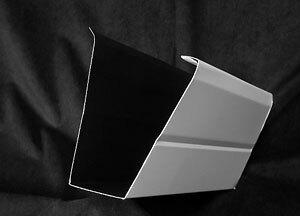 Why Choose our premium gutter systems? Most jobs completed within one day. Helps protect your home from rain damage. Thickest aluminum gauge available (.032" thick). 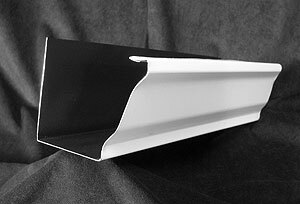 Gutters are custom formed on site to ensure exact measurements. Baked on enamel paint finish protects against cracking, blistering, peeling, or flaking. Heavy-duty brackets installed every 2ft. Brackets secured with screws - never nails. 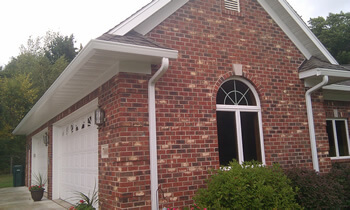 We install 3" x 4" downspouts exclusively.